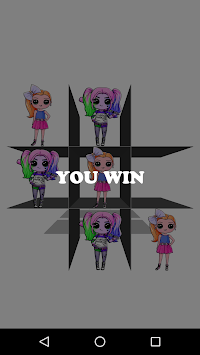 Play Jojo Siwa Tic tac toe New 2019 on your Android phone. No need to waste paper! Now you can play Jojo Siwa Tic tac toe New 2019 on your Android device for free. Our new modern version appears in a cool glow design. 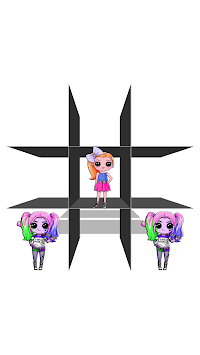 The AI ​​for this Jojo Siwa Tic tac toe New 2019 is one of the best you can see. It adapts to your style of play and is highly unpredictable. Unlike other Tic Tac Toe games on the market, you'll always find that AI is cool and entertaining. If that's not all, the AI ​​skill can be adjusted on the fly in the game so you can increase the difficulty while playing or reduce it if you get stuck. This puzzle game is also recommended for children and adults. 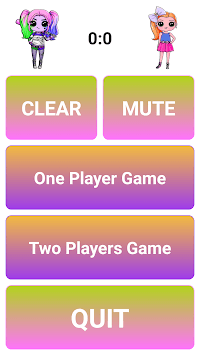 Do not waste time with paper and a pen, challenge your friends to see who is the best player of Jojo Siwa Tic tac toe New 2019 in the 2 player mode.